Artificial intelligence (AI) is on everyone’s lips. It is both underestimated and overestimated, it provokes various reactions, often irrelevant, that range from anxiety to indifference. One thing is certain, however: most of its applications, already numerous, have yet to be invented! Perhaps you already know Jeff, the robot specialized in the world of media, who issues regularly the results of his continuous watch which he shares by means of his newsletter. His father in the human world is Benoît Raphaël, an entrepreneur and endorser of #JamaisSansElles (“Never Without Her”, plural). But Jeff is not alone in his world! Benoît has created a whole family of watchmen bots, raised by specialists in various fields of expertise. Therefore, it was quite natural when at the end of 2016 he suggested that #JamaisSansElles create their own AI robot. The challenge was raised by Natacha Quester-Séméon, co-founder of the movement, who was determined to use artificial intelligence for the benefit of the #JamaisSansElles cause: gender diversity and the fair sharing of leadership and responsibilities between men and women. Natacha immediately started to transmit to ELLA – that’s her name! – the founding values of the association and to ensure she benefited from her own expertise… and that of the web. The principle is simple: the bot only asks to learn! 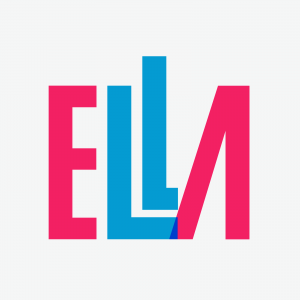 Like all her peers, ELLA first headed blindly into a jungle of online articles – news, reports, dossiers, press releases etc. – in search of relevant information related to the subject concerned. But gradually, guided by Natacha, ELLA became more and more able to distinguish between what might be valuable and what probably was not. She could recognize the nuggets and identify reliable sources and distinguish between insignificant messages and useful ones to share. It takes patience to raise a bot properly! Natacha selected no less than 16 000 articles, one by one, for months, approving or rejecting ELLA’s initially very imprecise choices. But patience is a plus, and ELLA is now ready to enter the world of men… and women! ELLA’s main criterion for its specialized information: not the number of clicks or retweets but quality! She knows how to get around fake news, is not interested in polemics, and she is passionate about informative and nuanced news, beyond noise and redundancy. That’s why ELLA is able to detect unnoticed content in the midst of an uninterrupted stream of online information. Her “ethics”, her “vision” and the nuances of “her approach” reflect as much as possible those of #JamaisSansElles, as established over the past two years by Tatiana F. Salomon, co-president of the movement. And they will continue to reflect them more and more each week. That’s the whole point of the entreprise. Because unlike many of her AI peers, ELLA is unlikely to replicate some of the implicit biases of society that are harmful to women. It’s a question of education! Numerous studies have shown that: machine-learning technology tends to reproduce AI entities that express the specific prejudices of those who program them, or even more so, the biases of the sources they feed on, within the environment to which they have access. This applies especially to the different gender biases! However, as she was raised within the #JamaisSansElles family, ELLA is already different. Educated by tomorrow’s world, ELLA does not dwell on information that are stained with the prejudices of yesterday’s world. However, a benevolent education and an agile brain were not enough for ELLA: she needed a body, an incarnation! Several inspired fairies have since taken the matter into their own hands! Moïra Marguin, artist and head of the the 3-D Animation Department at the Gobelins school, drew her a body and gave her a face. 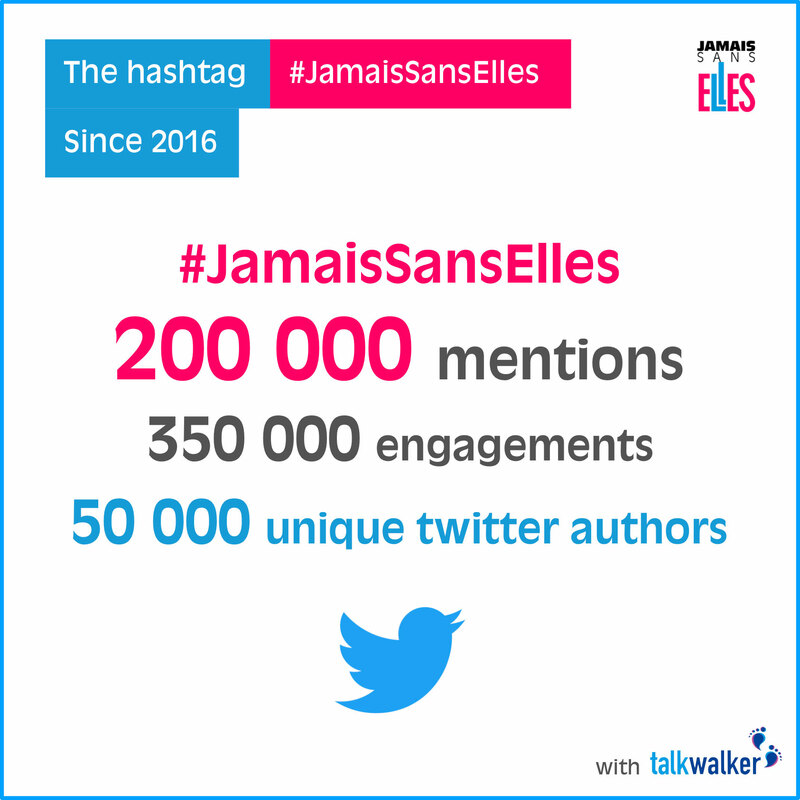 The typographer Peter Gabor made a beautiful adaptation of the #JamaisSansElles logo, of which he was already the author, in order to create the one for the bot, which is clearly the most spoiled of her generation! Finally, Sacha conceived and designed the newsletter in which she will now speak weekly urbi et orbi. All of this under the benevolent eye of Tatiana, who started by giving ELLA her baptismal name, which in the end, she tells us, was the obvious choice. Riding on the wings of such graces, it’s no wonder ELLA is also interested in humanism and poetry! In short, what does ELLA do ? She looks out for high-quality articles regarding gender diversity and equality at the international level. She is the very first journalistic bot dedicated to gender diversity. Do you want to benefit from her watch? Nothing’s easier! You just have to subscribe here (in french). And to help ELLA accomplish her first steps in our world, do not hesitate to share her intelligence, not so artificial as it seems. ELLA will truly appreciate it! 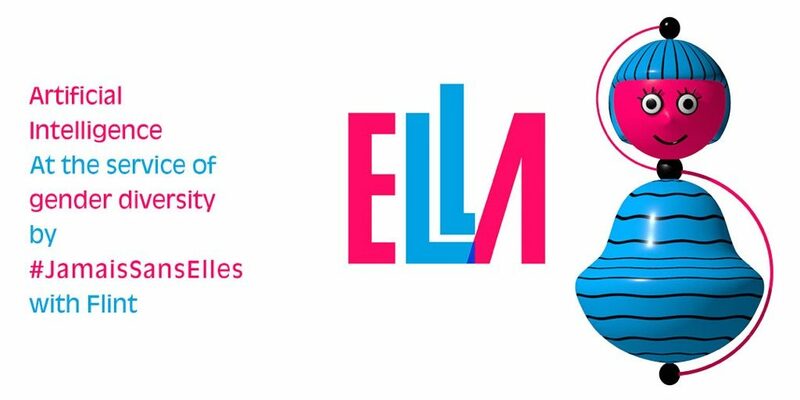 You can also follow ELLA on Twitter (in french) where she happens to express herself. And if you haven’t done it already, please follow her happy parents, too : @JamaisSansElles (in french).